Whether you want to replace your outdated coffee table or you’re in the mood to take advantage of the holiday sales events, I want to remind you to never settle for anything less than perfect. The coffee table is something you use everyday. It is also the centerpiece of the living room. These pieces of furniture give you a spot to rest your feet, to set your dinner tray, to place your laptop, to sit when there is not enough room on the sofa… oh, the list goes on! Trying to find the right table is like shuffling through a series of blind dates. It can take days, sometimes even weeks. But when you lock eyes with the table of your dreams, every other option will seem meaningless. If you are reading this post, I’m guessing you have yet to find “the one”. 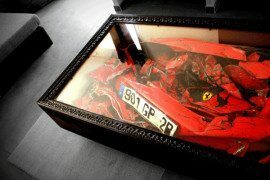 Do not lose hope, because regardless of your price point or interest, there is a gorgeous coffee table waiting for you. As a girl who absolutely loves cheating on fashion with furniture, I can say I have an insatiable hunger for modern, elegant coffee tables. I only ask for three things in a coffee table: design, stability and versatility. 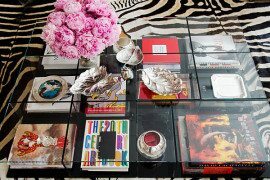 I hope you agree with me, because it is my pleasure to feature some of this season’s hottest coffee table designs in today’s post. 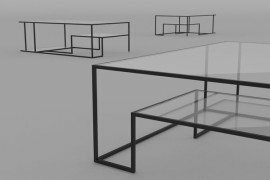 Straight-edged coffee tables, with their sleek aesthetics and contemporary style, are always the go-to designs. But what about circular selections? Where do they belong? I like to believe round coffee tables have the ability to command the decor of any home with beauty and poise. Liven up your living room and give your morning cup of coffee (or afternoon glass of single malt) a unique resting place with the selections below. 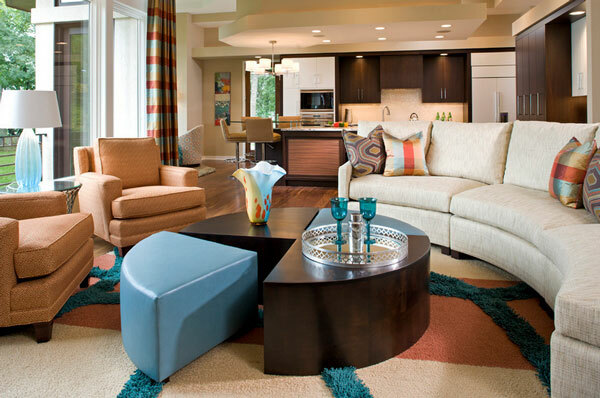 Make a bold statement with a collection of smaller coffee tables that can be assembled to form a grander one. You can use these kinds of coffee tables as Lego building blocks, changing the layout of your living room to fit various occasions. 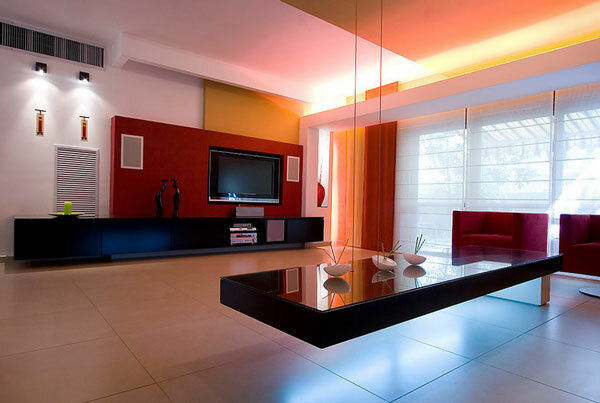 If you want to redecorate, it would be smart to consider this particular coffee table design. Form and function aside, bit-sized coffee tables are great choices because they do not prevent you from experimenting with other styles. I’ve said it before and I’ll say it again: Coffee tables are statement pieces of the living room. But sometimes the table designs are so uninteresting that people feel the need to populate the surfaces with a bunch of unnecessary trinkets and ornaments. 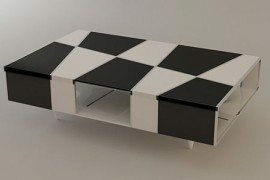 However, these unique coffee tables need no such help! How often do you see a coffee table with wheels attached? The creative design of this table will be an enjoyable sight in any living room. You can push the table off to the corner when you need more space and drag it back with ease whenever you want. One piece of furniture from the Phillips Collection really caught my eye. This metallic coffee table, with its luminous glow and impeccable sheen, is the pinnacle of contemporary design and futuristic sophistication. 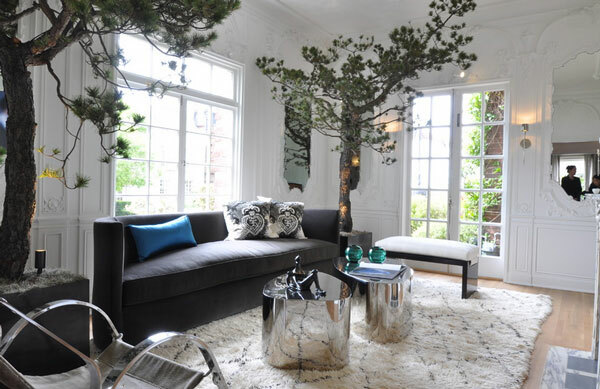 It has an all-around beauty, bringing together the living room decor in an intriguing way. 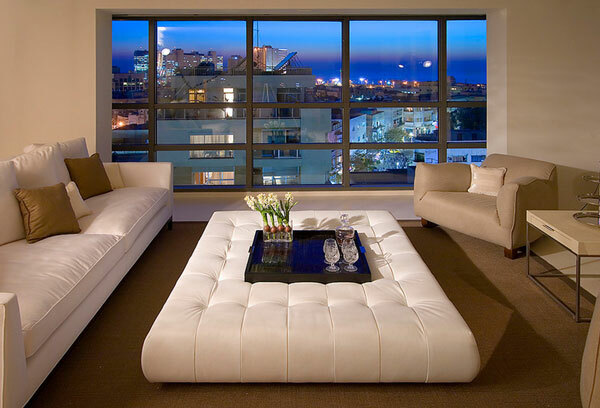 Some designers have introduced coffee tables that double as a side stool and sofa. These leather-wrapped pieces are the very definition of modern luxury, curating an atmosphere with a sensual appeal. An evening at home is just as pleasurable as a night out on the town. 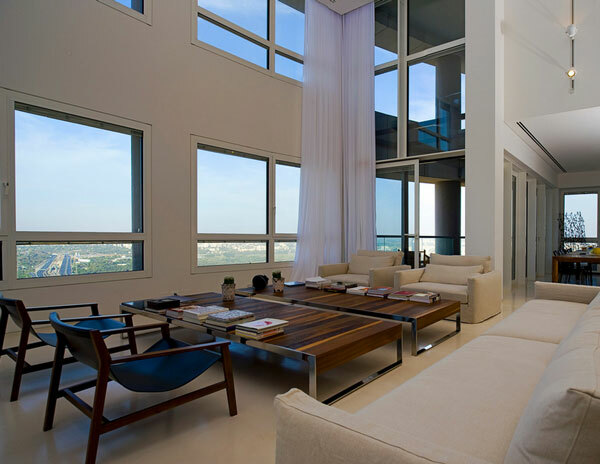 The current design world is mesmerized by all things contemporary and minimalistic. Coffee table designs are no different. 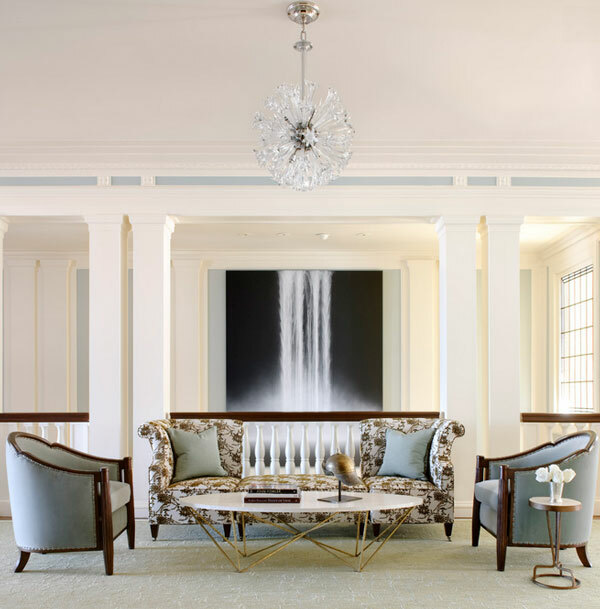 By staying true to simplicity, you can revel in the glory of sheer comfort and experience a heightened level of energy. A good coffee table does not need too many decorative features. As long as it has a wide-angled surface and a sturdy base, then nothing else really matters.